With more than 150 franchise dealerships, Lookers PLC is one of the UK’s largest automotive retailers. The company sells new and used vehicles – that’s cars, vans and motorcycles – from an extensive list of manufacturers. Lookers dealerships feature stock from more than 30 of the world’s most popular car brands, so customers are well catered for. Lookers’ dealers also provide drivers with aftersales care, offering vehicle health checks, servicing and MOTs. On top of that, the business has a network of repair centres throughout Britain, helping customers when they need it most. John Looker founded Lookers in 1908. Back then, the company sold bicycles and occasionally used cars. In 1910, the dealer partnered with a garage owner to create Lookers Ltd and they started to focus on the sale of automobiles, particularly from Ford. Today, Lookers is a leading vehicle retailer in the UK, with an impressive variety of marques in the company’s portfolio. 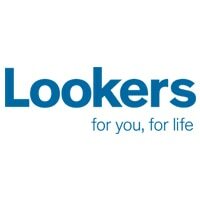 In recent years, Lookers has made a number of high-profile acquisitions, bringing popular dealerships like Taggarts, Charles Hurst, Colbornes and Benfield into the Lookers family. The company has over 10,000 cars for sale, with new, nearly new and second-hand models from a wide range of brands. At Lookers dealers, customers can expect to find an extensive variety of hatchbacks, coupes, saloons, SUVs, estates, convertibles and even high-performance sports cars like the Ferrari F12 Berlinetta or Aston Martin Vanquish V12. For customers looking to buy new, Lookers offers the latest models from marques stocked by the company. You’ll find luxury cars from the likes of Audi, Bentley and Jaguar, and everyday city cars from Peugeot, Ford or Nissan, amongst others.